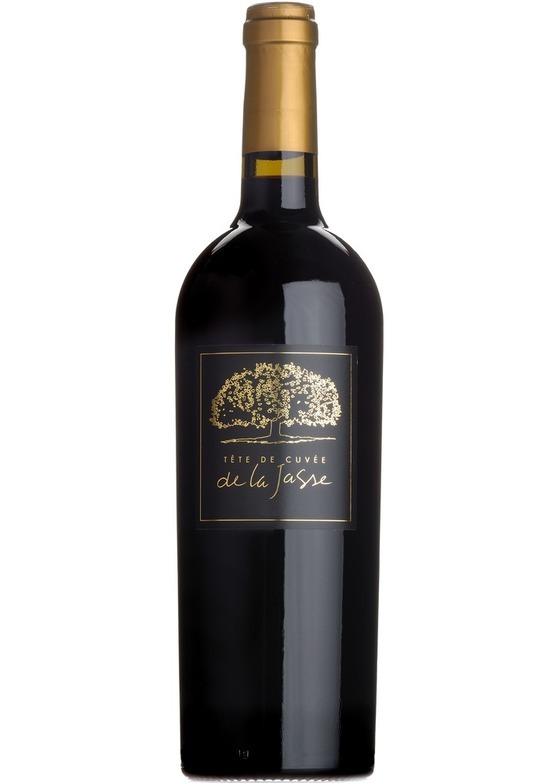 The latest release of La Jasse's premium cuvée, the 'black label' is an absolute treat. 2015 was a very strong vintage in the Languedoc - some growers believe it is one of the very best of the last half-century - and the Tête de Cuvée is a great demonstration of what a winemaker of Bruno Le Breton's talent can do given such exceptional conditions to work with. A particularly warm summer produced grapes of extraordinary ripeness, resulting in a wine of great generosity, depth and texture. Bruno's Tête de Cuvée is a careful selection of the very best barrels from his flagship Vieilles Vignes, and is made entirely from cabernet sauvignon - this is made very much in the style of a top Bordeaux Château from a warm vintage - it would certainly be a challenge to pick this 2015 out in a blind tasting of Pauillacs from the same vintage. The nose manages to combine pronounced cassis and blackberry fruit with a perfumed, aromatic freshness, whilst 12 months maturation in barrique adds complexity, with aromas of cedar, woodsmoke and spice. Concentrated and full on the palate, with a bright, almost sweet note to the warm black fruits - plums and autumn berries, with layers of dark chocolate and roasted coffee. Very well-balanced, with finely-knit tannins and a long, rounded, classy finish. Enjoy now, decanted ideally, with a good steak, Mediterranean cuisine or mature hard cheeses, or cellar until 2028.